Discover the key events in Mozart's biography, with links to each relevant story of his life. 1. Mozart is born - a genius from birth? 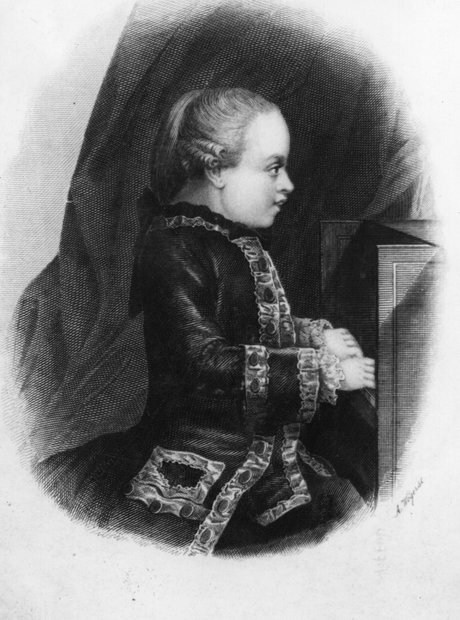 Born on January 27th 1756, Wolfgang Amadeus Mozart took to music at a frighteningly early stage in his life. But was he born a genius? Find out more about Mozart's early years, his full name and how old he was when he learned his first piece of music by clicking the biography link below. How young was Mozart when he composed his first opera? What happened after his epic touring schedule finished? And were the people of Europe right to suspect that the young composer had been passing off his father's work as his own? Find out by clicking the biography link below. The legendary story of how Mozart copied out Allegri's Miserere note for note has gone down in the annals of classical music history. But what exactly happened when Mozart sat down and listened to this incredible piece in 1770? Mozart had spent so much time with his father over the years that it's easy to forget the influence that his mother had on his life. It was never felt more keenly than in 1778 when she suddenly died. Mozart married Constanze when he was 26, having, some years previously been smitten by her sister, Aloysia. Constanze's family was not particularly well-off and Leopold did his best to put Mozart off the idea. They seemed to make a very good couple, and she certainly stayed with him through thick and thin. It was a time of happiness for Mozart as his personal life went through his marriage and the arrival of his first child - but the happiness was not to last long, and the darkness that characterised his later life began to rear its ugly head. The last year of Mozart's life was, to say the least, tumultuous. Find out exactly how it broke down - from who commissioned his last work to who was with him at the very end - in our biography article below.